$2342.51+ Keeping it classy. A black and white themed build. Wonder Airflow, great SSD Mounting, and Painted silver this case is ABSOLUTELY GORGEOUS. 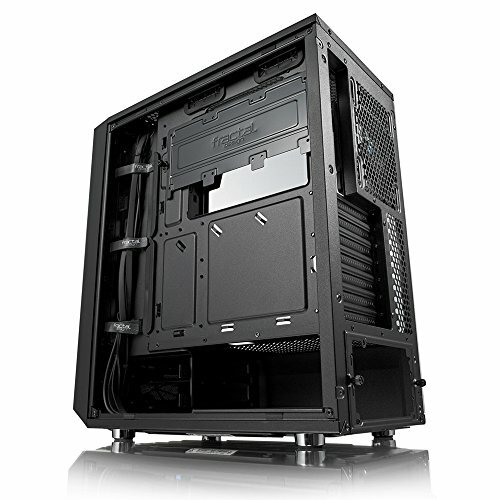 Watched tons of videos and picked the Fractal Design Meshify C TG due to reports it is a smaller case. I was surprised when I opened it as it doesn't seem "small" to me. I have no other reference to go buy as I haven't had a desktop computer in a long time. The case is nice, super easy to put together and the fans are quiet. I'm glad I got the clear glass and not the dark tint glass. Really good airflow. Easy to work with. Good cable management. I'm generally chasing a completely quiet build. Highly efficient processors and GPU and fanless PSU. However with this build I can't ignore the practical demands of mining so I've opted for airflow. Fantastic Case. Great airflow while being about as compact as you can get for an ATX build. Cable management is easy and tempered class is beautiful. A dream to work on. So much space yet it’s compact. Cable management was easy and clean. The tinted glass gives it a classy touch rather than a rave show. 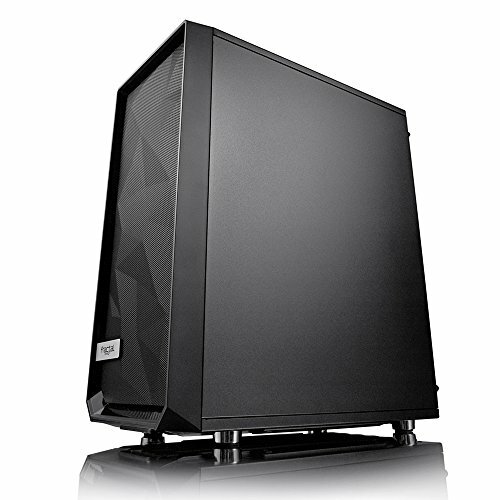 Easily one of the best high air flow cases on the market right now, beautiful and a complete dream to build in. 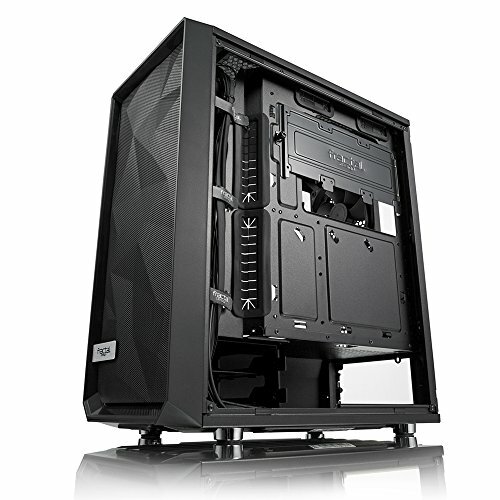 Plenty of support for liquid cooling options, great cable management features and premium build quality. And comes in under $100 and includes a tempered glass panel not just some cheesy plexi panel. Also includes a nice dust filtration solution on the front and bottom of the case. This one is highly recommended for an enthusiast build with a slightly more sensible budget as well. Amazing Case. Perfect for a tricked out ATX build. Coming from the corsair graphite 380T (looks like a spaceheater), that had excessively efficient cooling, i can say that the Meshify's openness still flows air through pretty substantially. The front panel works well being used as an intake while the back and top are exhaust. with 6 120mm fans all of my components are running quite cool. Mesh front panel comes with a rather thick(in a good way) foam dust filter that doesnt hinder airflow, and it even has a full length dust cover on the bottom!!! The actual design of the case is great - The inside panel is a bit tight but aesthetically i prefer everything to be closer together than overly spaced apart. The moderately sized cable management channel and cutouts w/ rubber grommets made it ridiculously easy for a first time builder like myself to manage all of my cables cleanly - even with sleeved phanteks extensions. You would barely know there are cables in your build, with how many routing options you're given. It did require some extra effort when fitting all of the cables between the PSU and the 3.5" drive sled, but i was able to make it work by shifting the sled closer to my front fans. The drive sled unfortunately blocks 1/2 of my 3rd fan at the bottom of the case, which reduces its effectiveness a bit. This could've been avoided had i done a bit of extra research chose to go with 2.5" SSD's instead - which fit on a bracket that covers the cpu cooler bracket on the mobo. I'm not too worried about it, since it never hurts to blow a little bit of cold air onto drives and any areas stuffed with cables, and since the other half of the fan still gives some air above the PSU shroud. I like that the case gives you the option to remove part of the PSU shroud for different builds, as a full shroud would really lock you into certain configs. I'm satisfied with how i have it put together now, and don't think i will be removing the 3.5" drives, even if i add some SSD's in the future. I am glad that I chose to go with the clear TG panel rather than the dark. Judging from pictures by other builders, the full sized glass panel w/o tint really shows off alot more than the dark, which tends to mask components and illumination. However, i imagine that is all up to personal taste. To summarize, Airflow is solid. Cable management options are exceptional. Can be a bit tight but just asks for more patience/ingenuity. Tesselated mesh panel is a nice beauty feature Easy to manage tweaks/additions if you need to get back into the build post-completion. I love it!! highly recommended for any ATX builds.